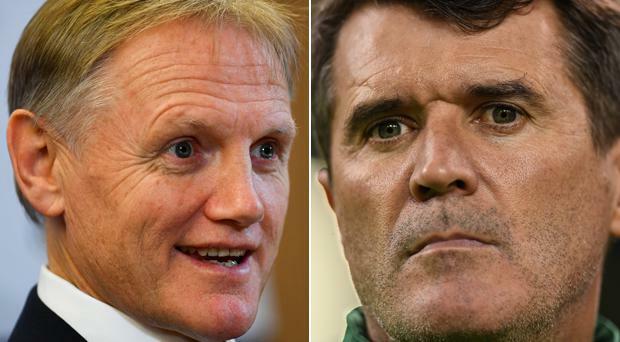 Munster and Ireland legend Ronan O'Gara believes Joe Schmidt and Roy Keane will be credited for changing the face of Irish sport in years to come. O'Gara feels that the stand fellow Corkman Keane took over the facilities in Saipan, that saw him sent home from the 2002 World Cup, changed sporting psychology in this country. He also believes that the attention to detail and the change of mindset Schmidt has brought to Irish rugby is something that will be forensically examined in the future. "Schmidt hasn't just changed the face of Irish rugby. He has changed the face of Irish sport. In the future there will be academic papers written on the Schmidt factor in Irish sport," he wrote in his column in today's Irish Examiner. "As much as people still go on about how Roy Keane's attitude in Saipan 16 years ago changed the psychology of standards and preparation in Irish sport. "Joe has moved the needle to a level of detail that is all about precision and process and will become the template for sports other than rugby for years to come. "Keane changed things by the force of his personality and his experience in a cutting-edge environment like Manchester United. He had seen in 1999 and beyond what elite level sport must be about and railed against his own country not meeting the standards. We can win the 2002 World Cup, he said, why not. "Schmidt's journey has been different in one respect. It's why I re-emphasise of having a New Zealander coach Ireland against the All Blacks. But like Keane he has come from a system - indeed a heritage - of being the best and never having to worry about the sort of inferiority complex that dogged Ireland and Irish sport for too long. We were there to be there and not to win." O'Gara also claimed that if Schmidt had got involved with Irish rugby in 2005, Ireland would have beaten the All Blacks before the victory at Soldier Field.